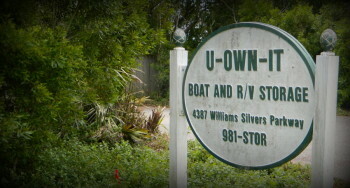 U-Own-It Boat and R/V Storage was built by boat owners for boat owners. 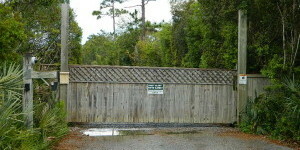 Without question, we are the finest storage facility on the island. 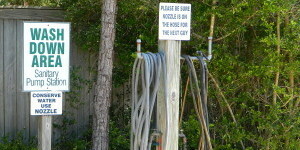 Safe, secure & well maintained, U-Own-It is locally owned and operated. I needed storage for my wave-runners, trailer, and my F150 while I traveled to Mexico for a long needed vacation. I was gone a month, and when I returned I was so pleased with the unit and the lockable mini-storage closet inside the enclosed unit.. I decided to stay with them so I could have the security advantages with the convenience of 24hr access. It was a good decision then… and 2+ years later I am still with U-Own It. I don’t see any point in the future where I would change the decision I made. One of the best features of doing business with U-Own It is the simplicity. It is so easy to make a decision from the choices available. The choices are clear, concise, and to the point. U-Own It also provides me with peace of mind for the security of my property, and the on-site management is friendly, knowledgeable, and the facility is very well maintained. 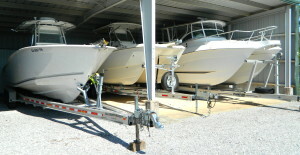 I highly recommend U-Own Boat and RV storage whether you want to rent/lease or buy a storage unit. Great folks to work with! I needed temporary storage for my wave-runners until my garage was finished, and U-Own it made is simple. My property was safe, the price was very reasonable, and I had 24hr access to the wave-runners so I could trailer them any time of the day or night. I have a lot of confidence in U-Own It Boat and RV, and it is obvious that others do also! My recommendation is this: if you need Orange Beach storage for your boat, your RV, your wave-runner, or even an automobile or truck – this is the place! CATHY KINDRICKS, BLUE WATER SPORTS, INC. Without comparison, U-Own-It is the safest and most secure storage facility on the island. 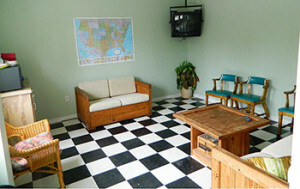 Property storage options and facility services are simple, practical and functional. With covered and enclosed units, open storage for trailers, and weekly, monthly, or annual rental plans, your boat, R/V, wave runner, or automobile is safe with us. Centrally located with easy access to local boat ramps, world class entertainment, and the best dining experiences anywhere, we are simply your very best property storage choice on the island. Without comparison, U-Own-It is the most secure storage facility on the island. U-Own-It makes selecting a storage facility for your boat or R/V a simple decision. You can rent for reasonable weekly, monthly, or annual rates, or you can own a storage unit for your boat, R/V, wave runner, or vehicle. Dusk ’til Dawn security lighting, electronic-keyed access, and 24 hour security cameras ensure your property is safe. U-Own-It Boat &amp; R/V was built by boat owners for boat owners serious about the security and safety of their property. From I-10: Take Hwy 59 South to the Foley Beach Express. Follow the Beach Express to its terminus at Canal Road (Hwy 180); turn left (East) for 0.9 miles to William Silvers Parkway, and then right (South) on William Silvers Parkway 0.3 miles to entrance to the Orange Beach Sports Complex – we are on the left.